A neotropical genus of 50 species, Tovomita is a genus of trees found in tropical forests in both Mesoamerica and South America. 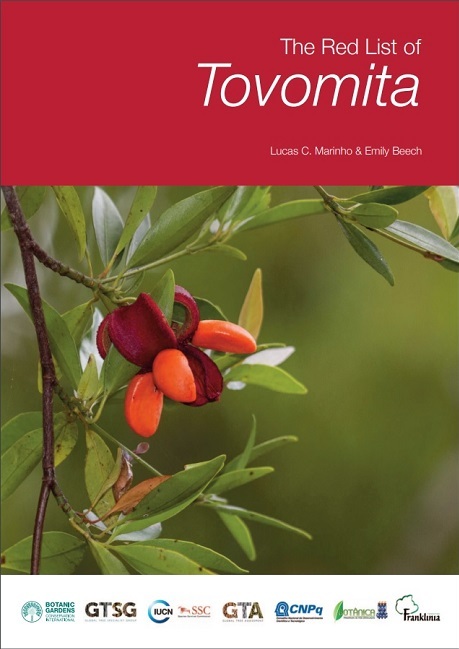 The Red List of Tovomita reveals that while only 8% of the genus is threatened (four species), a high percentage of species are considered Data Deficient (38% or 19 species) meaning it is not known if the species are threatened or not of conservation concern. The remaining species (26 species) were assessed as Least Concern. Despite being the third largest genus in the Clusiaceae family, Tovomita is relatively poorly known leading to a high level of Data Deficient assessments. For Tovomita and for many other tree groups there is a lack of information about population numbers, the quantitative impact of threats and the in-country distribution of many species due to gaps in collection effort. However, for GTA it is still important to assess these species. Identifying trees as Data Deficient on the IUCN Red List will contribute to our understanding of the conservation status of trees across the world and help identify regions or groups which are diverse in species but lack practical conservation information. This in turn can direct funding and research into understanding unknown areas and species, leading to the protection of more trees in the long run. The Red List of Tovomita highlights that anybody, anywhere can get involved with red list assessments for trees. The publication was produced through cross continental collaboration over the internet between authors Lucas Marinho and BGCI’s Emily Beech. The latter having contacted the former after seeing their Tovomita research poster on ResearchGate. Following this, assessments were completed via email and contributed to Lucas’ PhD in Brazil. It is innovative and opportunistic collaborations like this which will help us achieve the Global Tree Assessment.